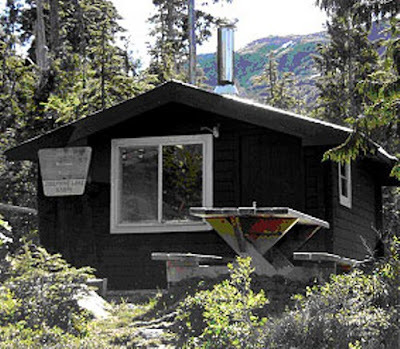 This is a standard Alaska cabin with great views. The cabin is at 1900 feet above sea level. 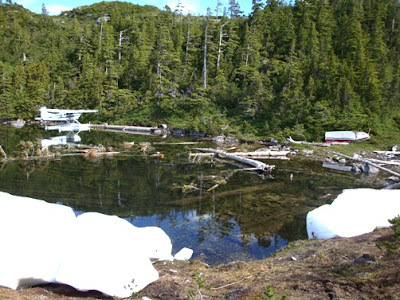 I flew over the cabin on July 1, 2012 and could not land because the lake was totally iced in. 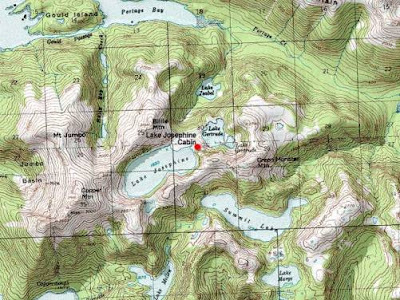 On the same day Black Bear lake was wide open. In 2008 the cabin was in poor condition. I discussed the status of the cabin in April of 2015 and the cabin is still open in very bad condition and they are not going to replace the boat.